In search for answers to some of life’s biggest questions, five friends set out on a journey to discover an ancient treasure. 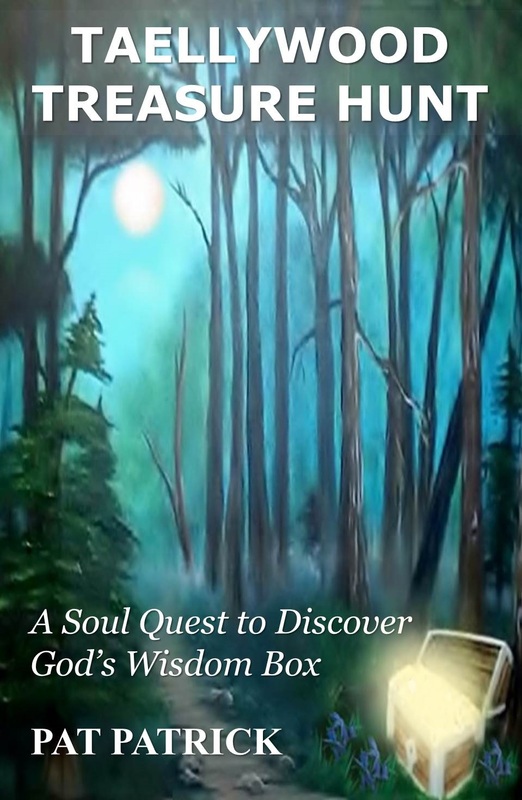 Taellywood Treasure Hunt (A Soul Quest to Discover God’s Wisdom Box) is a work of fiction. Have you ever wondered why things happen? Do you ever ask, why God why? Sometimes things happen in life that we can’t explain. We ask why did this or that have to happen. We desire answers and we seek miracles. In the Taellywood Treasure Hunt Book, a group of childhood friends seek the same thing. Against the warnings, they go on a quest to find the legendary treasure they heard about for years. While on their journey they encounter strange happenings and mystical creatures. They will be tested and challenged. A broken relationship is rekindled, another finds peace after grief and loss, while one lives in constant rebellion. In spite of everything, the Taellywood Treasure possesses a deep, held secret. Inside this treasure chest holds something much greater than all the precious jewels of the world. Legend proclaims it holds a box which contains God’s wisdom. In this treasured wisdom box one will find all the answers. For whoever opens it will acquire all the wisdom of God and attain all human understanding. While each of these friends have their own reasons for this quest, they must face certain realities. In their search for truth, will they compromise their values to uncover it? This book of religious fiction is available on Amazon.com. Pick up your copy today.